London is one of the most expensive cities in the world but this doesn’t mean that there aren’t any budget-friendly attractions which you and your family can enjoy. In fact, today we will turn your attention towards the city’s best free museums. Shortly known as V&A, this is one of the city’s most famous and visited museum. It was established in 1852 and is presently known to be the world’s largest museum dedicated to decorative art and design. The V&A has a permanent collection of about 4.5 million items which are showcased in over 145 galleries and the best thing is that you can see explore them for free. However, you should keep in mind that the Victoria and Albert Museum tends of host special exhibitions which are accessible via entry fees. The Museum of London is situated in close proximity to the internationally known Barbican Centre and was opened in 1976. As the name suggests it is dedicate to the history and evolution of the British capital throughout the centuries. It displays over 6 million objects and is reputed to showcase the largest urban history collection in the world. The latest number show that the Museum of London welcomes an estimate of one million visitors annually. The venue will be moving from its current site in 2021 and if it can entrust its valuable possessions to a moving company so can you during your domestic or commercial removal. 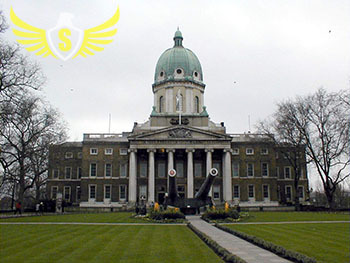 Many travelers describe the Imperial War Museum as the best military museum on the planet and since it is free to visit it, you have no excuses not to. It may come as a surprise to you but the most famous museum in the United Kingdom has no admittance fee. The British Museum which is currently the most visited in Britain and the fifth most visited on Earth was founded during the mid-18th century. Since then it has become one of London’s most important landmarks and recognisable edifices. The venue is divided into ten different departments and displays some of the most important artifacts in mankind’s history. Note that just like the V&A it hosts occasionally temporary exhibitions which are have an entry fee. Established in 1881, the Natural History Museum is as famous as the aforementioned British Museum. It welcomes over 5 million visitors yearly and is dedicate to our planet’s evolution. It lies in close proximity to the Victoria and Albert Museum which means that you can explore and enjoy both venue during the same day.